I’m sure we’ve all experienced at one time or another a dog that doesn’t listen. When your dog doesn’t come when called, it can be frustrating, embarrassing and in some cases, downright dangerous. Even the best trained dog can occasionally get distracted by an unusually interesting scent or an intense game of chase with a cat or squirrel, but we want our dogs to reliably come when called. Since January is National Train Your Dog Month, it’s a good reminder to spend some time training or reinforcing those important commands like Come. The Come command not only helps build a strong bond between you and your dog, but it can be a lifesaver if you ever need to call your dog away from a dangerous situation. Stand a short distance away from your dog, then get your dog’s attention by calling their name (kneel down if you have a small dog or young puppy). Say “Come!” in a happy and excited tone of voice. When your dog comes to you, give her a high-value treat and lots of praise. Wait until your dog starts to wander away and repeat the process. Work with your dog several times a day in short sessions. What if my dog doesn’t come to me when I give the command? 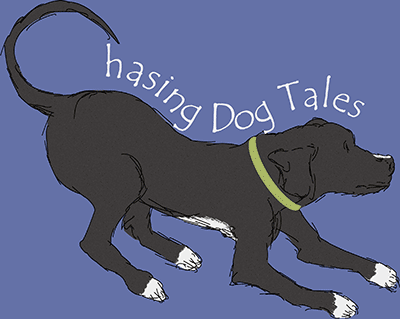 Try these tips to make yourself fun and interesting so your dog will be more likely to come towards you. Make sure your dog is not too far away from you at first. You’ll work on increasing the distance later. Try working with your dog on a leash if she wants to wander away instead of coming to you. Gently nudge her towards you when you give her the command. Most dogs love a game of chase and you can use that instinct to your advantage by excitedly running away from your dog as you give the command. Act interested in something on the ground to peak your dog’s curiosity and they’ll probably come to investigate. Use what motivates your dog. Most dogs are food motivated, but some may prefer affection or a favorite toy. Using a partner or multiple people, take turns holding the dog while the next person excitedly runs away from the dog then gives the Come command. The dog is then released and springs towards the running person for a treat and some praise. Most dogs love to play Hide and Seek and it’s a fun way to reinforce the Come command. Never punish or scold your dog when she comes to you. Avoid this common scenario: An owner calls his dog repeatedly and the dog happily ignores the command, which is frustrating, right? Then, when the dog finally decides to come, the owner reprimands or punishes the dog for not listening and failing to come when called. The mistake here is, the dog associates the scolding with coming to the owner, not with failing to listen and the result is a breakdown of trust with the owner. It’s easy to get frustrated or angry when your dog doesn’t listen, but always celebrate and reward your dog when she comes to you, even if she doesn’t listen right away or takes her good ole time getting to you. Don’t chase after your dog if she doesn’t come when called. It will quickly turn into one of her favorite games. Instead, run or walk away from your dog and have her chase you. Avoid saying the Come command repeatedly if your dog isn’t listening. Wait until she’s less distracted to call her again. Refrain from calling your dog to you for things she doesn’t like, such as trimming her nails or bath time. Simply go get her instead of calling her to something she views as negative. Once your dog starts to understand the command, gradually increase the distance when calling her, then slowly begin working around distractions. Give your dog lots of praise and treats when she comes to you when around a high level of distractions. Avoid calling your dog away from situations when it may be difficult for her to obey, particularly early in the training process. When you have to call your dog away from something fun, such as interrupting playtime at the dog park, always give lots of praise and wait a short time before leaving so your dog doesn’t associate coming to you with ending the fun. Occasionally call your dog away from something fun, give her a treat, then send her right back to what she was doing. After your dog has learned to reliably come when called, still give praise and occasional surprise treats to reinforce how great it is to come to you. When Haley was learning the Come command, I combined it with clapping my hands twice after giving the command. Now, if I have to get her attention from a distance, I just clap my hands loudly instead of yelling the command. Since your dog’s vision is not as good as our human vision, try using a swinging arm movement along with the command if your dog is reluctant to come when called from a distance. If you have a dog that doesn’t come when called, January’s National Train Your Dog Month is the perfect time to get started on your training routine! Do you have any tips or techniques for teaching your dog to come when called? Share them with us. Teaching recall is huge. Especially with my huskies. They are hugely known for running away and cannot be trusted off lead because of it. I never do let them off lead unless in a fenced area, but having a good solid recall is still important in case they ever get out the door or escape the leash. Great point, with certain breeds it’s even more important to work hard on recall. Those Huskies can be master escape artists! Great advice. 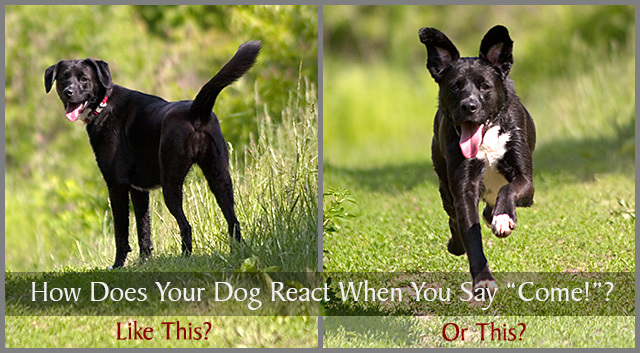 Getting good recall from your dog is one of the most critical behaviors. I must admit that Jack & Maggie are only so-so and I know it’s my fault. These tips will help me improve! Thank you for your advice to my Mum. She does need to train me better. I ALWAYS come to my Mum if she has a treat but when she doesn’t, I might come or I might not. In the big park in Daglish in Western Australia, if I am getting bored I glance at Mum to see if she is distracted. I then do a few stretches, put my grey cells in gear, put my headphones on and TAKE OFF! I Speed across the road, round the flats, in and out of everyone’s garden. I run as fast as a rabbit, through gates and holes in fences. Vuagely I can hear my Mum calling “KoKo Come” but I convince myself she is talking to one of those girl dogs called Coco. She can’t mean me – I am having too much fun! But as I glance around there she is panting up the street yelling at me. Great article, we see a lot of people who “come” to our facility for training who think that their issue(s) with their dog are unique, when in fact most people have the same issues. Come is one of the biggest problems, because dogs are just dogs, and they like to be dogs and run around and chase that squirrel when we are calling them. So training is something that happens every day, a little bit each day, 10-15 minutes. It makes a huge difference. You make a great point, Jack. Training doesn’t have to be a time consuming chore. A lot of commands and training exercises can even be worked into your regular daily routine. Thanks for stopping by! I’ve worked hard with my dog Honey to be irresistible to her outside. I carry surprises in my pockets like treats or balls. I will sometimes run away from her or hide while we’re out for a walk off -leash. As a result, she has a rock-solid recall when it’s just the two of us outside. But I’ve developed a weird problem. My husband has started telling her to “come” in the house when she’s unlikely to do so (like when she’s downstairs waiting to be let outside or feeling cautious about coming up the stairs in the dark). As a result, he’s poisoned Honey’s recall in the house. Honey is still great outdoors but I no longer ask her to come in the house ever because of this. I don’t think I really need to do anything special training-wise with Honey. It’s my husband I need to fix. Any idea when Train Your Husband Month is happening? Yes, we need to create a “Train Your Husband (and Kids, and Parents, and Friends) Month”, great idea!! Great post! Pinned it to my training board. Thanks for all the great information. For our dogs which are hunting dogs this is a command we teach right off the bat. We use here in stead of come but it is much needed when out hunting to pull them off of something. Fantastic post about probably the most important command! It’s so important to only give a command once, and to make yourself super interesting to your pup when calling her! We have a neighbor across the street who has yet to understand how to call his dog Charlie inside. I’ve actually never seen him or Charlie, but I HEAR him on a regular basis when we’re outside in the yard and he happens to be calling his dog. He ALWAYS gets frustrated because Charlie clearly never obeys, and he starts yelling his “Charlie, COME” command drill-sergeant like after the 5th unsuccessful attempt. No wonder Charlie isn’t interested in coming to him ~ I wouldn’t be either!! Poor Charlie, I’ve known several people that do that as well and I always feel so bad for the dog. I sometimes also feel bad for the owners, because it doesn’t have to be a constant struggle to get control of your dog. So I have a 2 year old pitbull something mix (we adopted her so who knows what she is mixed with) I want to train her to be with me and so I can go camping and bring her with me I haven’t started training her yet so I wanted to see what commands I should start with and tips to go with them I just want to be able to go on walks with her without her giving me a walk. She is such a smart dog but she is also so hyper and exited to do stuff that I am scared she will run off with out me unless I train her well so any tips to train her?? Hi, Nathan! Here are some great tips from other posts and an article about off-leash hiking for a little later after she’s reliably staying close to you. Pulling on the leash is such a common problem, but the link above should offer some good tips! Thanks for giving your pup a loving home and with a little patience and practice, you’ll have her walking nicely and hanging out with you beside the fire on those camping trips! ? I have a dachshund puppy and he always runs when I call his name. Lol.